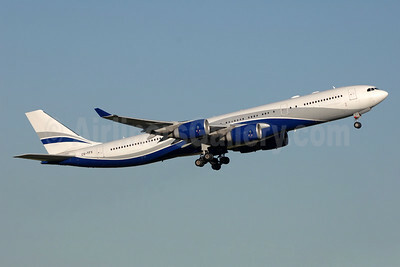 Airbus A340-500/600 Aircraft Pictures. Photos. Framable Color Prints and Posters. Digital Sharp Images. Aviation Gifts. Slide Shows. 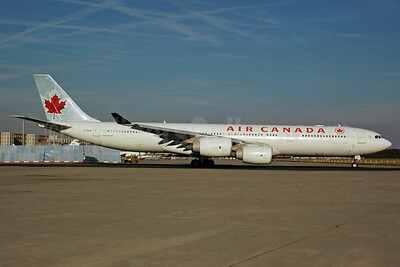 Air Canada Airbus A340-541 C-GKOL (msn 445) FRA (Bernhard Ross). Image: 901268. 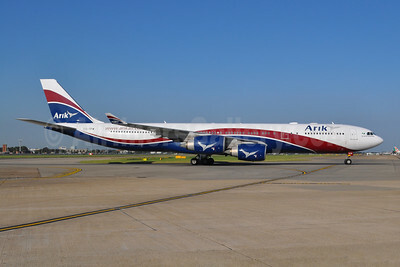 Arik Wings of Nigeria (Arik Air) Airbus A340-542 CS-TFW (msn 910) LHR (Dave Glendinning). Image: 909364. 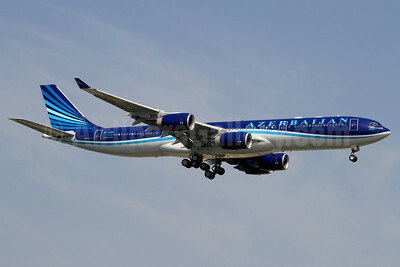 Azerbaijan Airlines Airbus A340-542 4K-AZ85 (msn 886) IST (Rainer Bexten). Image: 912363. 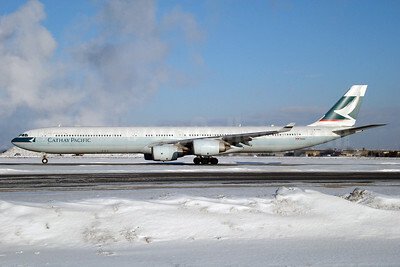 Cathay Pacific Airways Airbus A340-642 B-HQB (msn 453) YYZ (TMK Photography). Image: 900632. 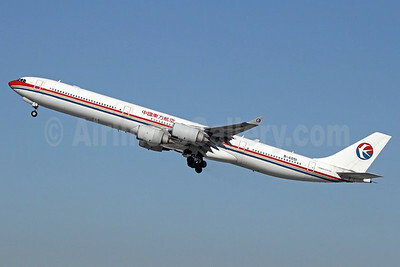 China Eastern Airlines Airbus A340-642 B-6051 (msn 488) LAX (Michael B. Ing). Image: 910686. 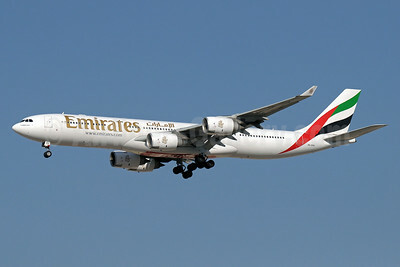 Emirates Airline Airbus A340-541 A6-ERH (msn 611) DXB (Paul Denton). Image: 911104. 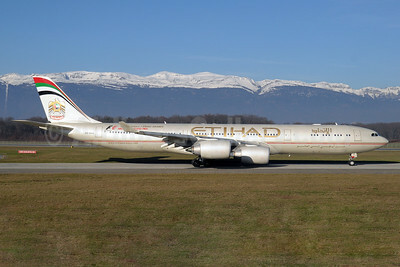 Etihad Airways Airbus A340-541 A6-EHA (msn 748) (Abu Dhabi Grand Prix 2012 Formula 1) GVA (Paul Denton). Image: 912239. 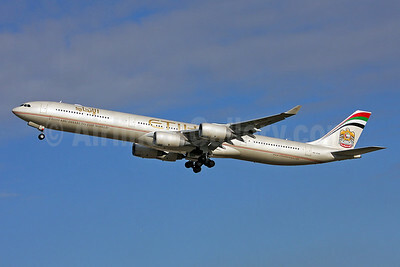 Etihad Airways Airbus A340-642 A6-EHF (msn 837) LHR (Keith Burton). Image: 902333. 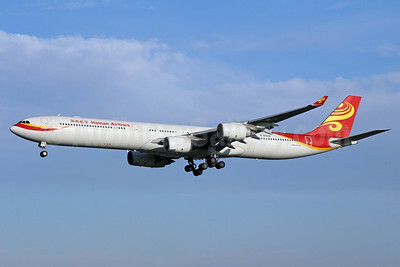 Hainan Airlines Airbus A340-642 B-6508 (msn 436) PEK (Michael B. Ing). Image: 913222. 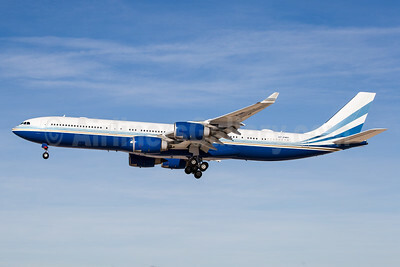 Hifly Airbus A340-542 CS-TFX (msn 912) YYZ (TMK Photography). Image: 933352. 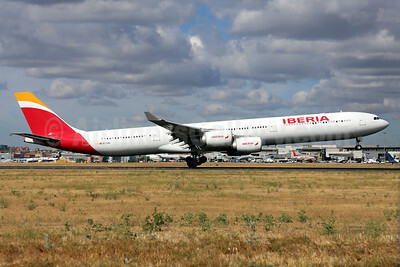 Iberia Airbus A340-642 EC-IZY (msn 604) MIA (Bruce Drum). Image: 100562. 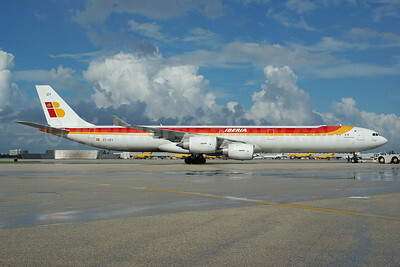 Iberia Airbus A340-642 EC-LEU (msn 960) MAD (Javier Rodriguez). Image: 923087. 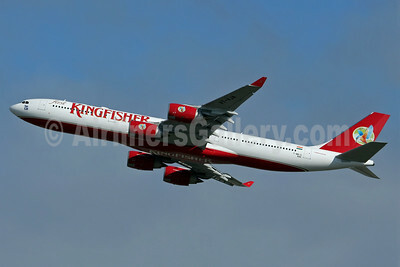 Kingfisher Airlines Airbus A340-542 F-WWTG (VT-VJA) (msn 886) TLS. Image: 903808. 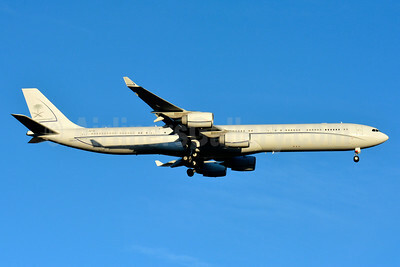 Las Vegas Sands Corporation Airbus A340-541 VP-BMS (msn 560) LAS (Arnd Wolf). Image: 940107. Lufthansa Airbus A340-642 D-AIHC (msn 523) (Star Alliance) YYZ (TMK Photography). Image: 930901. 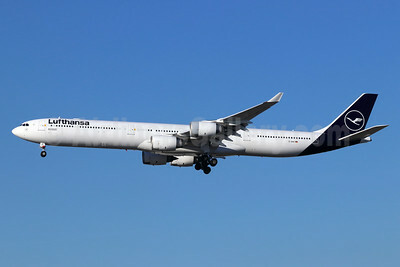 Lufthansa Airbus A340-642 D-AIHI (msn 569) LAX (Michael B. Ing). Image: 944709. 8 are now for sale, fleet to be replaced with new Airbus A350-900s, 2020? Lufthansa Airbus A340-642 D-AIHX (msn 981) NRT (Michael B. Ing). Image: 911454. 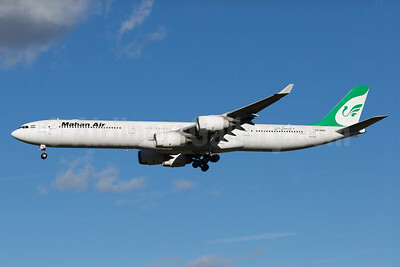 Mahan Air Airbus A340-642 EP-MMH (msn 391) MUC (Arnd Wolf). Image: 930053. 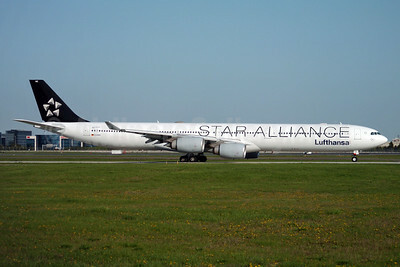 Prestige Alpha Star Aviation Airbus A340-642 HZ-AA (msn 924) BSL (Paul Bannwarth). Image: 931328. 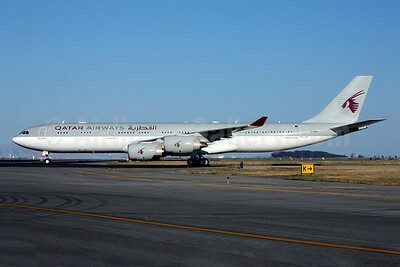 Qatar Airways Airbus A340-541 A7-HHH (msn 495) (Amiri Flight) SFO (Mark Durbin). Image: 903097. Qatar Airways Airbus A340-642 A7-AGA (msn 740) LHR (Keith Burton). Image: 902354. 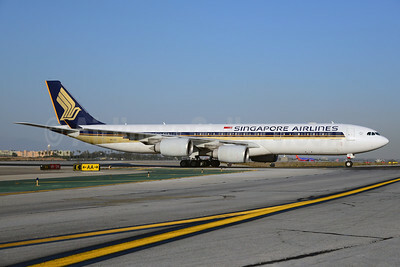 Singapore Airlines Airbus A340-541 9V-SGE (msn 563) LAX (Ton Jochems). Image: 921186. South African Airways Airbus A340-642 ZS-SNB (msn 417) IAD (Brian McDonough). Image: 903761. 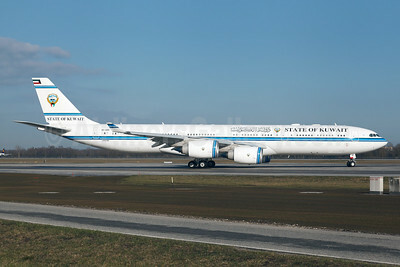 State of Kuwait Airbus A340-542 9K-GBB (msn 1102) MUC (Arnd Wolf). Image: 928644.